The Loews earnings earnings report for the fourth quarter of 2018 has L stock head lower on Monday. Loews (NYSE:L) reported losses per share of 53 cents for the fourth quarter of 2018. This is a drop from the company’s earnings per share of $1.43 reported during the fourth quarter of 2017. It was also a major blow to L stock by coming in below Wall Street’s earnings per share estimate of 53 cents for the period. Loews earnings for the fourth quarter of the year also include a net loss of $211 million. This is a decrease from the company’s net income of $531 million reported in the same period of the year prior. Revenue reported in the Loews earnings release for the fourth quarter of 2018 comes in at $3.29 billion. 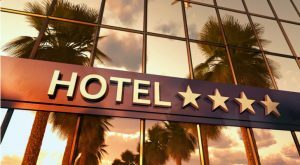 This is down close to 8% from the luxury hospitality company’s revenue of $3.56 billion that was reported in the fourth quarter of the previous year. It’s worth noting that Loews saw its revenue drop is just about every department for the fourth quarter of 2018. This includes revenue for CNA Financial dropping about 2%, Diamond Offshore revenue declining 34%, Boardwalk Pipeline decreasing by 3% and Investment and other revenue dropping 40%. The only segment where it saw revenue increase was Loews Hotels, which was up by 5% from the same time last year. L stock was down 6% as of noon Monday, but is up 5% since the start of the year. Article printed from InvestorPlace Media, https://investorplace.com/2019/02/loews-earnings-miss-hit-l-stock/.